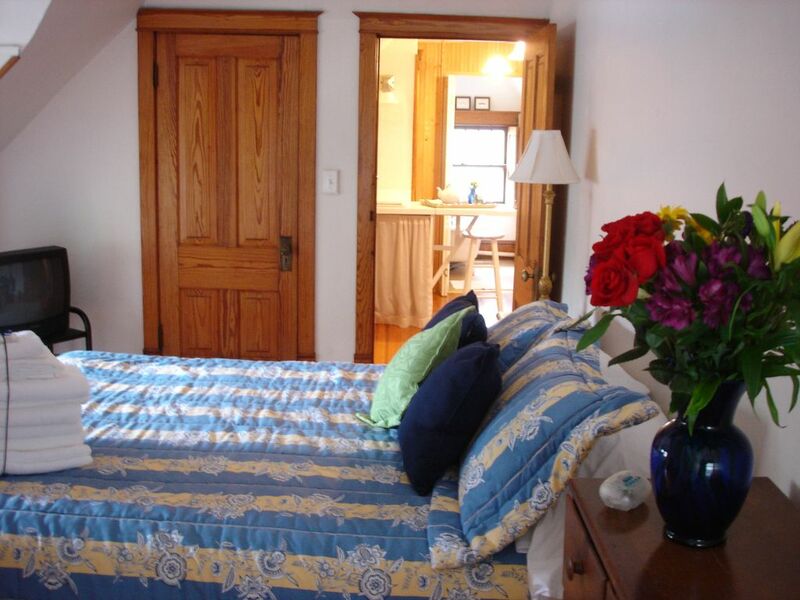 Located on the second floor of restored historic home, across the street from the University of Iowa, one block to downtown Iowa City. Wireless Internet, cable TV, and on-site parking available. Separate bedroom with queen bed. Sitting room includes writing desk and bistro table with 2 chairs. Private bath with shower. Kitchenette furnished with tableware, glasses, mini fridge, microwave, and coffee maker. Clean, quiet, smoke-free. Bistro table with 2 chairs. Fully-equipped kitchenette. Welcoming front porch with swing. Well-maintained historic home, adjacent to the University of Iowa campus. Very good place to stay. Nice people and private. Perfect setting for tucking yourself away for a writing retreat. Thank you for the 5-star rating! We appreciated having you as our Guest and are so glad to know you enjoyed our guest house and found it ideal for you writing retreat! We are located across the street from the University of Iowa campus; in Iowa City's historic Northside Marketplace district and restaurant row; and one block north of downtown Iowa City.